Page 55. 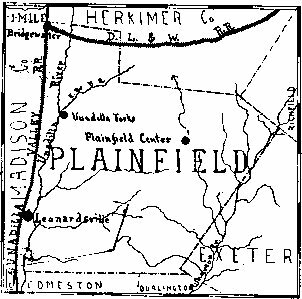 PLAINFIELD. Area 17,142 acres. Population 897.
factory a short distance south of the Forks. children, several of whom have been leading citizens. Joseph, was a noted author and lecturer. Center, Welch Congregational, with preaching in the Welch language. Transcribed by Karen Flanders Eddy.